coordination with states potentially affected by Tropical Storm Karen. land, residents may begin to experience strong winds and flooding. property as they prepare for potential landfall of Tropical Storm Karen. 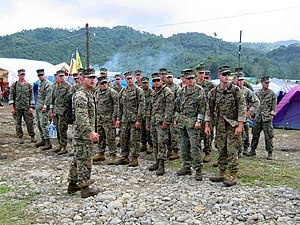 assist with the coordination of planning and response operations. officials in potentially impacted states. remains in effect from Morgan City, La. to the mouth of the Pearl River. take steps now to get prepared for potential severe tropical weather. Tropical storms can bring high winds and heavy rains, so listen to local officials and follow their instructions. continues to stand ready to support the states, as requested. your family, visit www.Ready.gov or www.listo.gov. 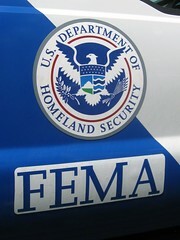 FEMA app from your smartphone’s app store. Follow FEMA online at blog.fema.gov, www.twitter.com/fema, www.facebook.com/fema, and www.youtube.com/fema. Also, follow Administrator Craig Fugate’s activities at www.twitter.com/craigatfema. not endorse any non-government websites, companies or applications. 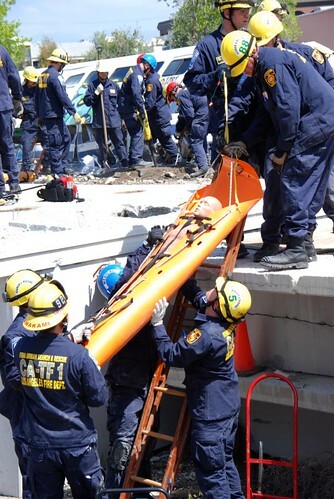 (Harris County, TX) — The Federal Emergency Management Agency (FEMA) recognized the Harris County Citizen Corps’ deaf and hard of hearing Community Emergency Response Team (CERT) program with an Honorable Mention, in the 2013 Individual and Community Preparedness Awards, for its dedication to making our communities safer, stronger and better prepared for any disaster or emergency. The 2013 Individual and Community Preparedness Awards honor the innovative practices and achievement of individuals, Citizen Corps Councils, and non-profit, faith-based and private sector organizations around the country. FEMA received close to 200 entries from 39 states and the District of Columbia. BOISE, Idaho – The U.S. Forest Service, through the National Interagency Fire Center here, has decided to end current military C-130 Modular Airborne Fire Fighting System operations as of the end of the day on Thursday, Sept. 5, 2013. MAFFS aircraft and crews remain available for recall if the wildland fire situation dictates. In a notice to the Department of Defense issued yesterday, the Forest Service said wildland fire activity had begun to moderate, and that, along with the increased availability of civilian air tankers, has allowed the release of the military aircraft, their crews and ground support personnel. Two MAFFS C-130s, both from the 145th Airlift Wing, North Carolina Air National Guard, had remained on duty at McClellan Air Tanker Base outside of Sacramento, Calif., following the release of three others by the Forest Service yesterday evening. Those aircraft, one from the 153rd Airlift Wing, Wyoming Air National Guard, based in Cheyenne, Wyo., is slated to fly home from McClellan today. The other two, both from the 146th Airlift Wing, California Air National Guard, will stand down at their home airfield at Channel Islands Air National Guard Station, Port Hueneme, Calif., where they had operated in recent days. Since the year’s initial activation on June 11, MAFFS crews have flown 572 missions and made 535 drops utilizing 1,375,981 gallons of Phos-Chek fire retardant. This summer, they have fought fires in Idaho, Oregon, Wyoming, Colorado, Utah, Arizona, California and Nevada. MAFFS is a self-contained aerial firefighting system owned by the USFS. MAFFS modules are loaded into the cargo bays of military C-130 aircraft. Following USFS lead planes, military aircrews can discharge 3,000 gallons of water or fire retardant from the MAFFS modules along the leading edge of a forest fire in less than five seconds and cover an area a quarter of a mile long by 100 feet wide. Once the load is discharged, ground crews at a MAFFS tanker base can refill the modules in less than 12 minutes. An interagency DoD and USFS program, MAFFS provides aerial firefighting resources when commercial and private air tankers are no longer able to meet the needs of the Forest Service. The military AEG exercises control over MAFFS resources at the direction of the USFS. Four C-130 Wings perform the MAFFS mission, each providing two MAFFS-capable aircraft and the air and ground crews needed to operate them. They are the 145th Airlift Wing, North Carolina Air National Guard; 146th Airlift Wing, California Air National Guard; 153rd Airlift Wing, Wyoming Air National Guard; and the 302nd Airlift Wing, Air Force Reserve Command, in Colorado. U.S. Northern Command is the joint combatant command formed in the wake of the Sept.11, 2001, terrorist attacks to provide homeland defense and defense support of civil authorities. USNORTHCOM provides DoD capabilities for disaster response operations in support of the Department of Homeland Security, Federal Emergency Management Agency, National Interagency Fire Center, and state and local officials. In Brick, a couple who were lifeguards saved some 50 people from the floods. A Vespa-riding school teacher carried gas and emergency supplies for people in desperate need of help. An off-duty nurse delivered a baby by the side of the road. A volunteer firefighter braved chest-deep water to rescue his neighbors. In all of the areas impacted by the storm, people performed extraordinary acts of bravery and compassion. and protect the safety of their neighbors. And as the wind, rain and flood waters, receded, a veritable army of volunteers joined forces in the recovery effort. the weeks and months of recovery that followed the storm. volunteers who have contributed 951,731 hours worth $26.8 million. as they moved forward with their recovery. and also refer people to the LTRG for help with specific needs. food, clothing and shelter assistance, and counseling services. Sandy survivors who are still in need of assistance with their recovery may access available resources online at www.nj211.org/hurricane. from, and mitigate all hazards. endorse any non-government websites, companies or applications. WASHINGTON – After completing 10 months of service to disaster survivors around the country, the nation’s first class of FEMA Corps members will be honored at graduation ceremonies in Vicksburg, Miss., and Vinton, Iowa this month. Established as a new unit within the existing AmeriCorps National Civilian Community Corps (NCCC), FEMA Corps engages young adults ages 18 to 24 to provide 10 months of full-time service on disaster response and recovery projects. More than 300 members of the inaugural FEMA Corps class will graduate at ceremonies in Vicksburg on June 6 and Vinton on June 13. FEMA Corps teams from the two campuses were integral in the response and recovery efforts for Hurricane Sandy. Teams were on the ground in New York and New Jersey in the first few days following the hurricane and provided direct assistance to disaster survivors by working at Disaster Recovery Centers and going door-to-door in impacted neighborhoods providing disaster information. FEMA Corps also provided assistance in 20 other states including Louisiana, Mississippi, Pennsylvania, and Florida during their 10 month assignment. The joint partnership between FEMA and CNCS is a five-year program that that will engage thousands of FEMA Corps members in all aspects of emergency management by responding to disasters across the country. Their service has contributed to delivering disaster assistance in a more expedited way by combining their resources and technology to help register disaster survivors in person. Their highly visible FEMA Corps uniforms also have let impacted communities and disaster survivors know that FEMA is present and helping to meet their needs. In addition to FEMA Corps campuses in Vicksburg and Vinton, FEMA Corps is also based out of Denver and Sacramento, Calif., and in the fall the campus in Baltimore, Md. will inaugurate its first class. A second class of FEMA Corps members from Vicksburg and Vinton will also begin in the fall.